I love my boat but the engine is on it’s last leg. Should I try and upgrade to a new Marine Engine, or just sell the boat and start over? This is one of the most common questions boaters are faced with today when its comes to replacing the Marine Engines in older model boats. There are a number of factors to consider when replacing a Marine Engine, so this Selection and Shopping Guide will help you drill down to see what option best fits your boat engine situation. It’s important to realize how the 2010 Marine Engine EPA regulations changed the overall topic of replacing Marine Engines, so this is something every boat owner needs to be aware of. 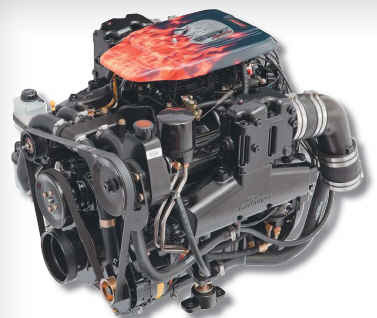 1) Do you want a complete Bobtail Marine Engine, Power Package Motor or just the Longblock? 2) Do you want a New Marine Motor or Remanufactured? There’s no shame in finding it difficult to distinguish one model 454 Marine Engine from another. Over the years the various marine manufacturers have changed both V6 and V8 engine models so many times it can be difficult even for Marine Engine distributors to properly identify the correct engine model for a customer. Typically, verifying the Engine Casting Number (link to block casting number location) along with the Cylinder Head Casting Number (link to head casting number location) is the best way to identify your Marine Engine correctly. Providing customers with solutions is where PPT stands above the other Marine Engine suppliers in providing technical assistance and information to help you properly determine the correct motor model for your application. PPT maintains a A+ rating with the BBB for one simple reason; WE TAKE CARE OF OUR MARINE ENGINE CUSTOMERS! Don’t be fooled by other Marine Engine retailers advertising 7 year warranties or 30% better fuel economy; those are simply gimmicks. The bottom line with Replacement Marine Engines is that you get what you pay for. Question: Why is it so difficult to find a remanufactured marine shortblock? I see plenty of new and remanufactured longblocks but not any shortblocks. There are a variety of options to be considered when replacing the engine in marine applications. Depending on the severity of the issue that’s driving your need to replace the engine here are a few things to consider. You can also read our technical articles regarding overall repowering options to research the advantages versus dis-advantages of drop in bobtails versus longblocks. Shortblock’s have been offered in the past as either new or remanufactured product. Shortblock’s include the block and rotating assembly but NOT the cylinder heads. 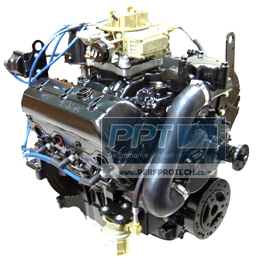 The primary purpose of Shortblock’s is to offer the “cheapest” engine replacement option. 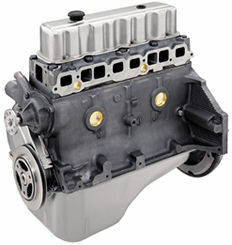 Longblock’s are currently offered as either new or remanufactured product. 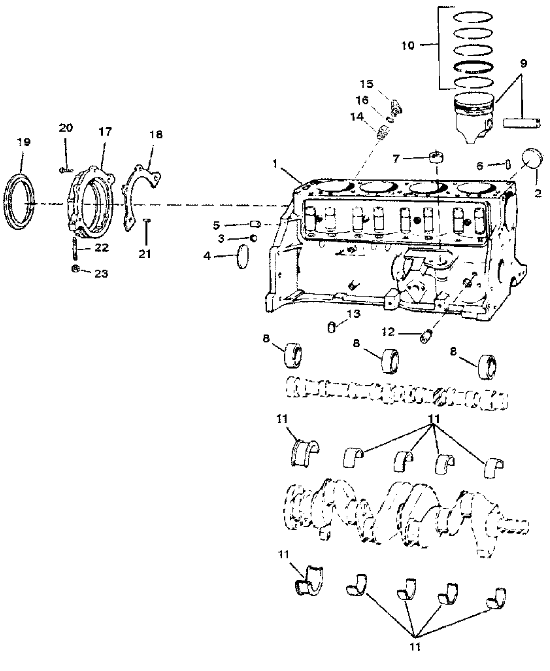 Longblock’s include the block and rotating assembly AND the cylinder heads. 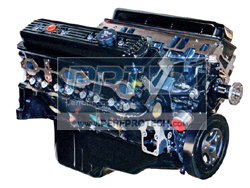 The primary purpose of Longblock’s is to offer the “most cost effective” engine replacement option. It’s important to remember that cheaper is not always better when repowering your boat. Whether you consider new or remanufactured the better option to consider would be what offers the best value. While shortblocks are almost always going to be cheaper on the front end versus a longblock they may not necessarily be cheaper in the long run. This leads us to the overarching reason of why the Marine Industry has all but moved away from offering the shortblock engine options. Warranty cost is a huge factor that the manufacturers are building into the up front cost of the products when they are sold. The more complete the engine is when sold to the customer the less likely it is that the customer will experience warranty related issues. By far the vast majority of warranty problems customers experience when repowering is caused by something they install improperly, installing incorrect accessories, etc. With this in mind it’s important to realize that one of the driving factors determining the longevity of any replacement Marine Engine is the marine cylinder heads they are equipped with. The cylinder heads are a huge factor in dictating the overall performance which also has a huge affect towards the engines suseptibility at ingesting water. Another extremely important factor is the condition of the valve seating, etc which affects both performance as well as the water ingestion and reversion characteristics. Last but not least is the manufacturers ability to test the product which is being provided to the customer. In the case of a marine shortblock the product cannot be fully tested for compression, fluid leakage, performance, oil pressure, etc. Even in the case where test heads are installed for the purpose of test running the engine the performance, compression, head gasket leaks, etc being verified are not valid for the actual engine that ultimately gets installed into the customers boat. The reason being since the heads have to be removed on shortblocks after testing and ultimately get repalced by whatever the customer choose to install. Our best recommendation is to pay a little extra up front and purchase a true Marine Longblock. The up front cost difference is really not as great as one would think because the testing required for shortblock’s requires more labor at installing and then having to remove components. Therefore some of the cost saving you would expect are in fact eaten up by additional labor cost. This small up front cost of the longblock buys you exponentially lower industry reported warranty rates versus that of the shortblock’s. In our experience, in the longrun we’ve found the longblock will generally cost even less than the shortblock.